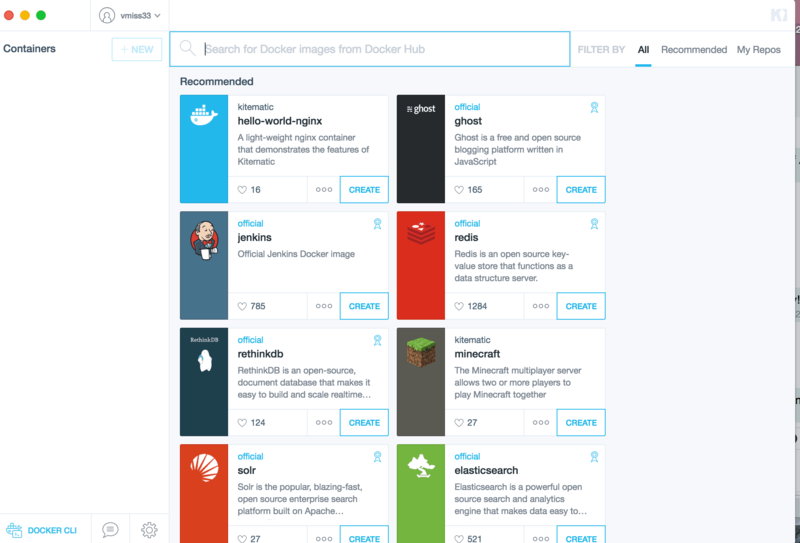 The Docker 1.9 release was full of great new features. For the Docker enthusiast, Docker Toolbox is your easy button for getting Docker up and running on Windows or Mac. 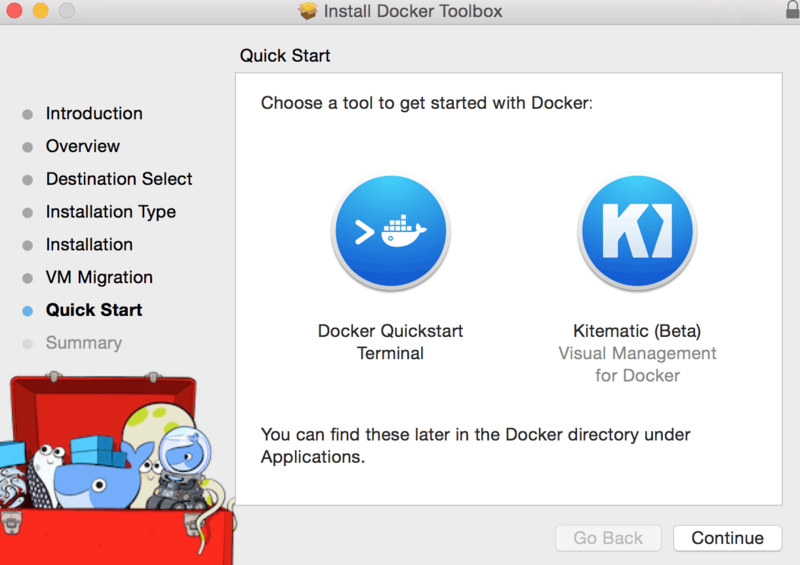 Docker Toolbox consists of Docker Client, Docker Machine, Docker Compose, Docker Kitematic, and VirtualBox. 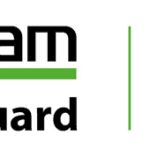 Let’s take a look at how to get set up, running a container, and using it! After you download Docker Toolbox, the installation is pretty self explanatory. We’re going to be mostly concerned with using Kitematic today. 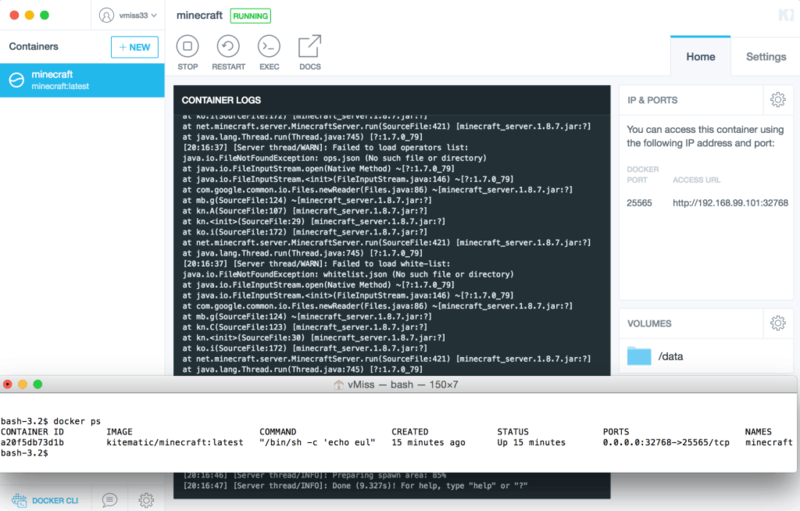 Kitematic is meant to get you up and running with Docker quickly, utilizing a pretty slick graphical user interface. After the install, launch Kitematic. 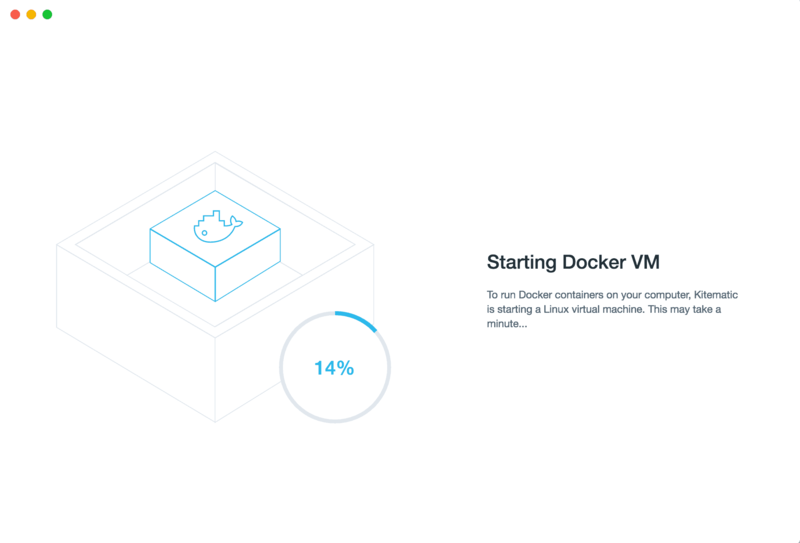 It will take a few minutes to build the Docker VM. Once your VM is up and running, you can go crazy with containers! You’ll see a number of containers available to you. In this case, we want to mine some blocks, so select create on the Minecraft container. Your Minecraft container will now download! It shouldn’t take long at all to start running. Once the download completes, you’ll see the container logs in the middle pain. In the lower left corner you’ll also see a Docker CLI icon, this lets you open the Docker CLI as shown. Try typing “docker ps” and you will see information on your running container. If you type “docker help” you’ll see what other sort of commands you can run in Docker. Give it a go, and play around with the options you have. 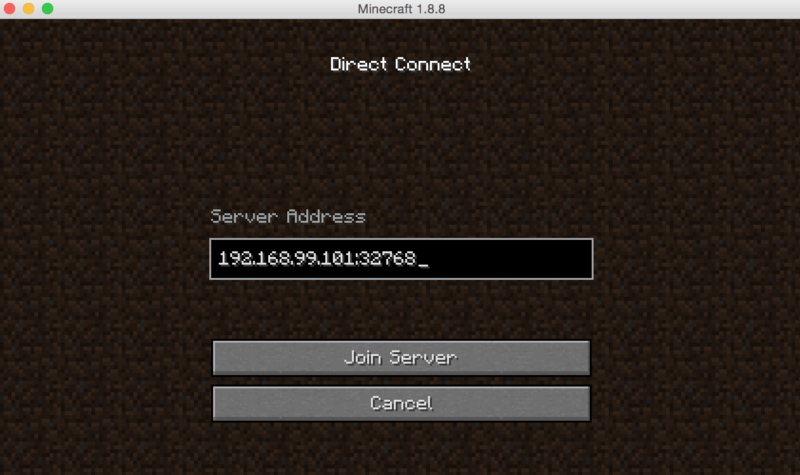 You can also see the Minecraft server has started, and what IP address it has. Open up Minecraft, and select Multiplayer. In the Multiplayer menu, select Direct Connect and enter the IP address and port you see in Kitematic. Sure enough, you’re connected to your very own Minecraft container! Better hurry up and get crafting before night falls! Good luck and watch out for those zombies. This is just one easy and fun illustration of how to get started with a new technology. 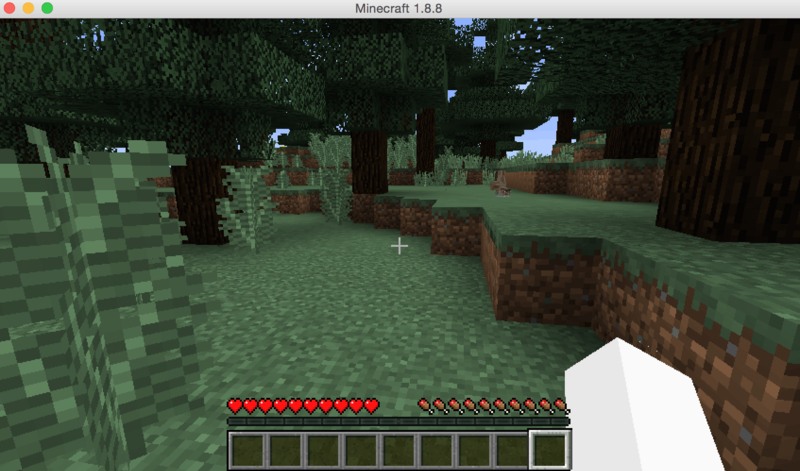 While Minecraft may not have any particular use for the organization you work for, this seemingly silly example can be a great way to start playing around with Docker commands and get a feeling on how this technology works. Mining a few blocks also tends to do wonders for reducing stress.